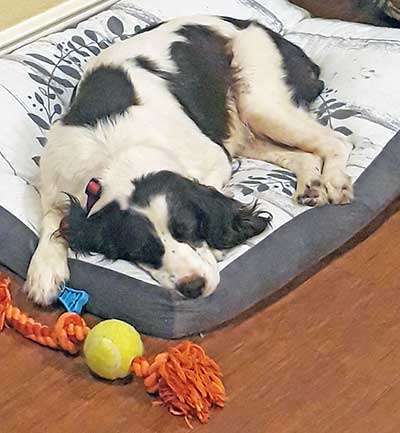 Sweet Ginger is thriving in her foster home. Her foster mom describes her as sweet, cuddly and loving with the face of an angel. Just look at those big brown eyes and you will understand! Ginger gets along beautifully with her foster siblings and even enjoys even the antics of her puppy brother. She is a pearl of a girl. She’s not much for playing with toys but occasionally she will surprise her foster mom and dad by picking up a toy and carrying it around the house. 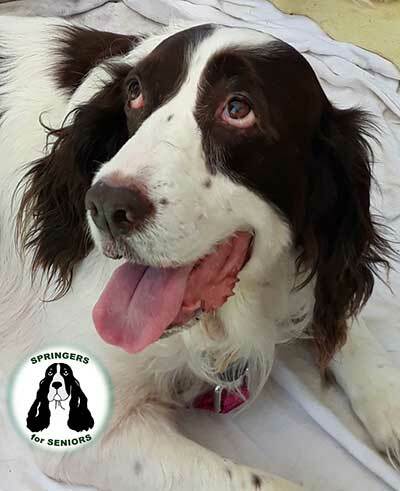 When she sees other dogs play, she starts to hop on her back legs and dance around – she is a very funny Springer girl and in great shape. 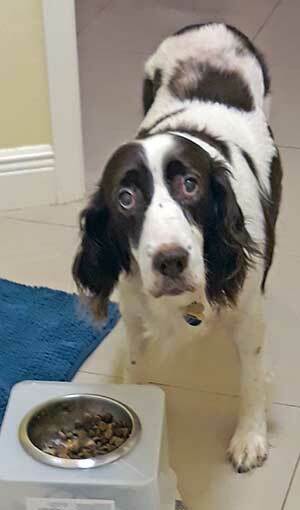 As with many older Springers, she does have some hearing loss but it doesn’t faze her one bit. Ginger loves to swim and is a very pretty swimmer. Check out this video of our girl going for a swim. 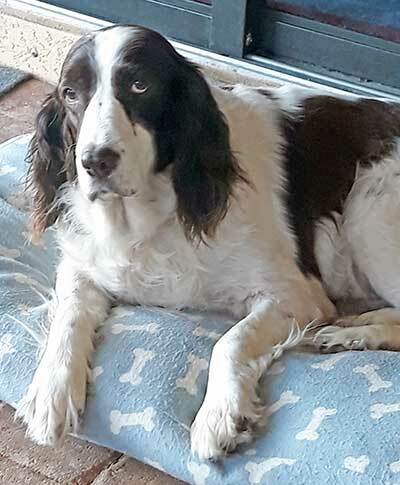 She requires exercise, as with any Springer, and enjoys her walks. When that leash comes out, she is raring to go! She loves to be near her people and can usually be found in a dog bed or at her foster mom and dad’s feet. No need to crate Ginger when left alone. 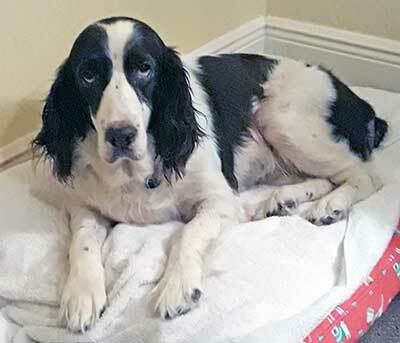 She’s a very good girl and will generally be found in a dog bed or waiting patiently by the door. Ginger would probably like an adopter on the quieter side but other friendly dogs are no problem. She’s a lovely girl. Do you like Springer kisses? Cuddles? How about a snuggle or two? If you do, Ginger is the girl for you!